On November 10th, five outstanding women scientists in the physical sciences were named as winners of the L'Oréal-UNESCO Women in Science award. Diverse in origin, determined in nature, and extraordinary in intellect, the 2009 Laureates reflect the programme’s mission: to change the face of science and support the advancement of women in the scientific field. The Awards Ceremony will take place on 5 March 2009, at UNESCO. Each Laureate will receive $100,000 in recognition of her contribution to science. 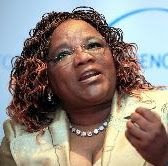 The winner for Africa & the Arab States is Tebello Nyokong, Professor of Medicinal Chemistry and Nanotechnology in the Department of Chemistry at Rhodes University in South Africa. Nyokong received her PhD from the University of Western Ontario, Canada and was a Fulbright Scholar at the University of Notre Dame. Her research focuses on the poryphyrins, which can be used as photosensitive drugs for cancer treatment, photosensitizers for photochemical destruction of pollutants in water, and in the development of sensors for biologically and medically important molecules. "No Ordinary Scientist" Mail & Guardian online, Aug. 13 1008.
this article tells Nyokong's story, from growing up in Lesotho as a shepherd, to eventually choosing to pursue a career in chemistry, and her recent successes and awards. There is also an 2004 article in the same paper: "From shepherdess to scientific star"
The winner for the Asia-Pacific region is Akiko Kobayashi, Professor and Chair of the Department of Chemistry at Nihon University in Japan. Kobayashi earned her PhD in Chemistry from the Graduate School of Science at the University of Tokyo in 1972. 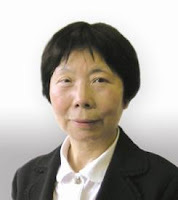 She received the award for her "contribution to the development of molecular conductors and the design and synthesis of a single-component molecular metal "
Nihon University Press Release (in Japanese). Here's the Google translated version in English. The winner for North America was Eugenia Kumacheva, Canada Research Chair in Advanced Polymer Materials in the Department of Chemistry at the University of Toronto, and the first Canadian to win the award. 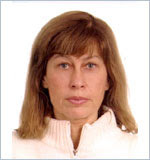 Kumacheva received her PhD at the Institute of Physical Chemistry (Russian Academy of Sciences). Her research group works on the development of "novel nanostructured polymer-based materials" and studies "equilibrium and dynamic forces in thin layers of polymer films." The polymers have many applications, including high density optical data storage and drug delivery. "Paint Based on Quantum Dots has Potential to Assist Antiterrorism and Cancer Detection"
The winner for Europe is Athene M. Donald, Professor of Experimental Physics at the Cavendish Laboratory in the Department of Physics at the University of Cambridge. Donald received her PhD from Cambridge University in 1977. She received the award "for her work in unravelling the mysteries of the physics of messy materials, ranging from cement to starch." 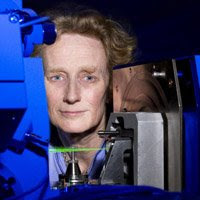 Royal Society 2006 Bakerian Prize Lecture: "The mesoscopic world"
Finally, the winner for Latin America is Beatriz Barbuy, Professor at the Institute of Astronomy at the University of São Paulo, Brazil. She is recognized for "her work on the life of stars from the birth of the universe to the present time." I love this article, it inspired me.. I'm really proud born as women.. I love to read this article again and again. It is so awesome! Thats why men should not underestimate woman anymore. there can be a great partner in life journey. Do u agree?